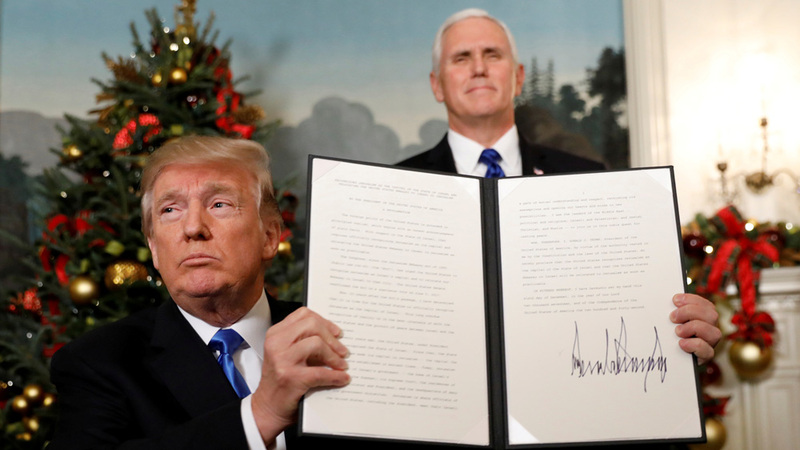 This week US President Donald Trump upended decades of American foreign policy by officially recognising Jerusalem as the capital of Israel. The decision sparked conflagrations in the media and on the streets of Palestine. So far, much of the reporting has fallen short. We've seen rank partisanship, anti-Trump reductivism, Orientalist tropes and racism. 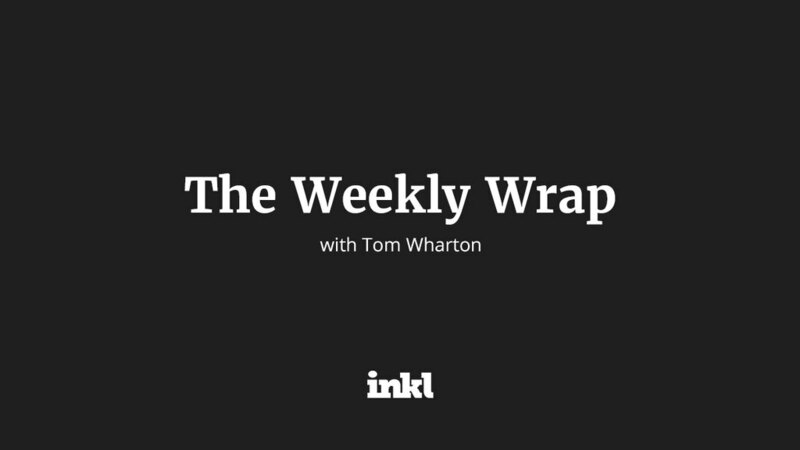 This week we'll look at what's changed and what hasn't. Everything Trump touches turns to protests. The noise has been deafening. French President Emmanuel Macron and British PM Theresa May attacked Trump's unilateralism. Arab leaders fumed (possibly none more so than Jordan's King Abdullah, who described his humiliation). While Hamas has decried this as a declaration of war, most Palestinians are equal parts enraged and despondent. Rural evangelists and beltway conservative pundits in America are in states of ecstasy. Israeli PM Benjamin Netanyahu doubly so. Despite this huge PR victory, Netanyahu is somewhat preoccupied by a looming corruption inquiry that will likely see him ejected from office. Discourse concerning Israel and Palestine is fraught in part due to the conflation of the idea of Jerusalem and the reality of Jerusalem. The City of Light is perhaps the holiest city in world, home to cherished religious sites of all three Abrahamic religions. The spiritual significance of the Temple Mount is unparalleled; it has been prayed at and fought over for millennia. The idea of Jerusalem isn't just a historical notion that dates back to the Crusades. We still see its invocation in the media to this very day. The modern Zionist project bolsters the idea of Israel as not just a Jewish state, but as the nexus of Judaism in the world. For them, the capture of Jerusalem is inextricably linked to the revival of their religion after the Holocaust. Likewise, modern Islamist movements have co-opted Jerusalem's history to serve their own ends: for them it is a site of historic dispossession and reckoning. And for the evangelical Christians who gave Trump his presidency, its return to Israel is a biblical necessity. All of the discourse and history distracts or polarises our perceptions of what is actually happening in the city itself: the reality of Jerusalem today. The entire city has been under Israeli administration since the Six-Day War of 1967. Just 35% of the population are Arabs living in East Jerusalem under military rule, a territory that shrinks every month with more forced evictions. Strategically built settlements continue to choke off access into the city from the West Bank. And despite the censure of the United Nations and the international community, Israel has continued to whittle away at the Palestinian claim over the city. All the major institutions of the Israeli government and judiciary are in Jerusalem. It is only out of deference to 20th century peace initiatives that other countries house their embassies in Tel Aviv. Trump's decision to move the US embassy to Jerusalem should be a non-event: their consulate was already moved to West Jerusalem under the Obama administration. But the fact is that the Palestinians' grip on their capital is slipping. And the peace process is broken. Alarmingly, reports emerged that Trump made the decision on Jerusalem months ago in what White House insiders describe as a desire to appear staunchly pro-Israel. So, Trump's decision does matter. And America's statements that the move will not have an effect on the 'final status' of the divided capital are a cheap and insulting fiction. 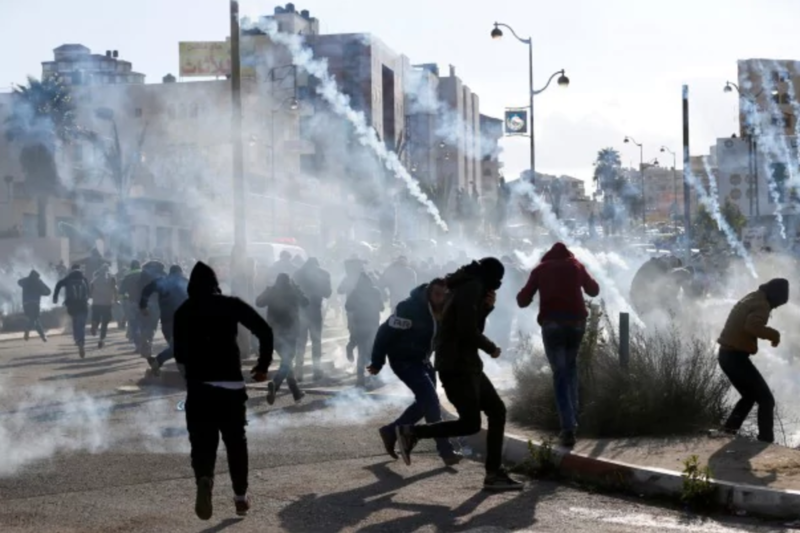 Crowds of Palestinians spent Friday burning American flags, throwing rocks and being shot with rubber bullets. Resentment is burning across the Arab world. But the exhortations of Hamas and PLO leaders don't contain the same gravity that they did during the first and second intifada. For many in the West Bank and East Jerusalem just surviving under an immovable military occupation is a more pressing need than launching armed rebellion. That we are living in a new era is best exemplified by Saudi Arabia's anodyne response to the crisis. Once a staunch ally of the Palestinians, the Gulf Arab states now side firmly with the old enemy, Israel. Their shared concern - Iran - poses far bigger threats than historical enmity. Last month the Kingdom's de facto ruler Prince Mohammad bin Salman gave an ultimatum to the lethargic old head of the Palestinian Authority, Mahmoud Abbas: accept this peace plan or we will replace you with someone who will. That peace plan is an obscenity. It involves the creation of a noncontiguous Palestinian state that would not have Jerusalem as the capital, does not allow for the right of return of refugees and would allow Israel to keep all its illegal settlements. On the hundred-year anniversary of the Balfour Declaration, foreign powers are once again deciding the fate of the Palestinian people. There's been little Christmas cheer at Whitehall and No. 10 this week. May's Irish luck tested - An ultimatum came from Brussels late in the week: find a solution to the Irish border conundrum within 48 hours or negotiations will be halted. Its unambiguity was reported on both sides of the Channel with the same macabre glee that has come to characterise discussions over Brexit this year. 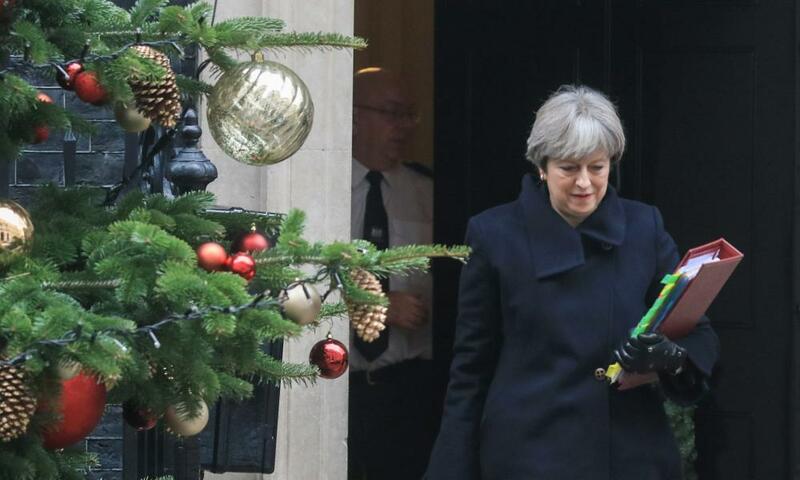 And with that British PM Theresa May launched into action to solve one of the most delicate problems thrown up by her country's decision to leave the European Union. The problem was at once clear and devilishly convoluted. A 'hard' Brexit would remove the UK from the customs union, creating a hard border between the Republic of Ireland and Northern Ireland. This was widely viewed as unworkable, not least because it would contravene the Good Friday Agreement (which ended the Troubles). Alternatively, Britain could negotiate special status for Northern Ireland - allowing it to retain a soft border - and move the hard border to the middle of the Irish Sea. This would provoke outrage amongst May's allies in the Irish DUP (enough to topple her government), be a logistical nightmare and see Scotland, Wales and London all demanding special status. To make matters worse, May also spent a good portion of the week trying to win back support from the DUP after they burnt her efforts on a draft text. One must spare a thought for the negotiators who are trying to balance so many competing interests. And to top off a difficult week, a bomb plot against May's life was thwarted. It was revealed that counter-terrorism raids in late November had snared two men planning to launch a bomb and knife attack on Downing Street. And yet, May and Juncker seem to have found a way through because they announced yesterday that a 'historic deal' has been struck. The deal provides for an exit payment to EU member states and for EU citizens' rights post-Brexit - two issues that have been central to Juncker's demands. In return, May extracted concessions on adjudication by the European court of the divorce settlement and of some other matters. Dublin too said it was pleased with the agreement which preserves the common travel area and Good Friday Agreement, and guarantees that there won't be a hard border. An expanding empire - This week the huge American pharmacy chain CVS announced it would purchase the country's third-largest health insurer, Aetna, for a hefty $69b. If CVS completes its plan to vertically integrate an insurer into its business, American healthcare will be changed forever. 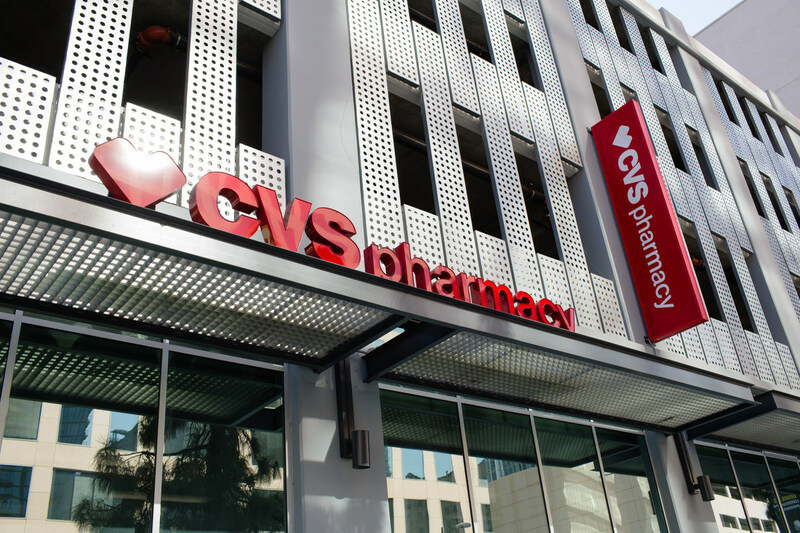 CVS has over 9,000 pharmacies across the country, and it also owns 1,000 'minute-clinics', stores where customers can go for everyday medical treatments such as vaccinations or health screenings. With a health-insurer to boot, CVS will be close to fully privatising and consolidating healthcare. Its stores would become one-stop shops where customers and patients would be able to circumvent the hospital and insurance systems. Needless to say, there is some consternation over the buyout. Advocates say that the consolidation will help customers cut through the current healthcare system which is the most expensive in the world, predatory and inefficient. Critics say that the move is anti-competitive and is simply a defensive move to ring-fence their customers from incoming disruptors like Walmart and Amazon (both of which are moving into the pharmacy game). Trump hopes the embassy move will be a circuit-breaker. 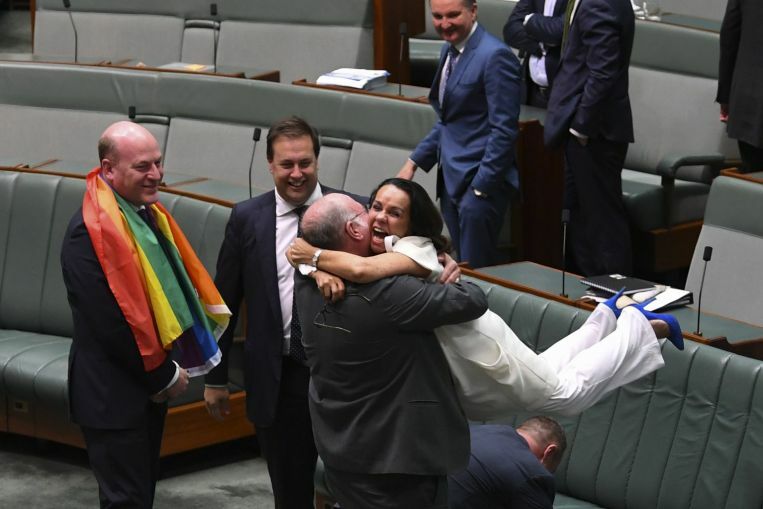 Jubilant scenes in Australia's parliament. Marriage equality in Australia - After a decade of parliamentary feet-dragging, Australia's elected representatives finally bent to the will of the public by passing a marriage equality bill. In the end it was a landslide. Rare scenes of genuine solidarity and joy swept across the House of Representatives - those in the viewing gallery broke out into song. Nigerian money scam - Authorities in Switzerland have repatriated some $320m back to Nigeria, ending a decades-long saga. Sani Abacha's short-lived dictatorship plundered huge sums from the country, yet after his 1998 death little of it could be located. Finally discovered in Luxembourg, the Swiss intervened to return the badly-needed funds to Africa. The side-effects of cyclones in the age of plastic. Cyclone Ockhi - A huge tropical cyclone that has lashed Sri Lanka and south India in recent days has dumped ocean trash onto the beaches of Mumbai. 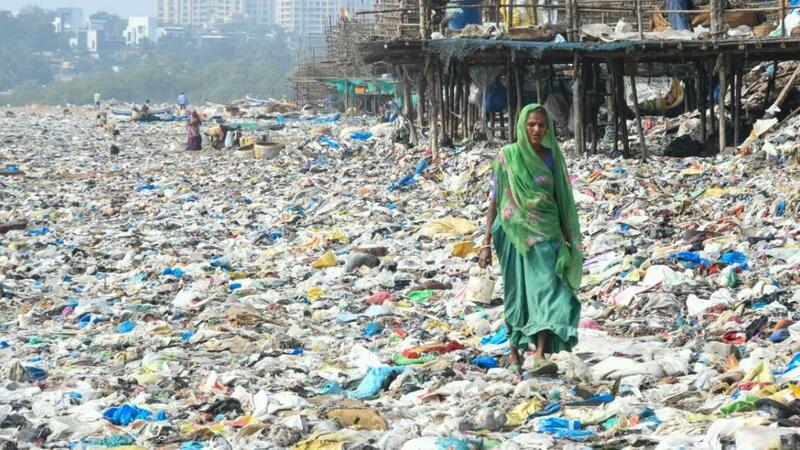 In a stomach-turning sign of our oceans' health, Ockhi left 80,000 kg of waste lying on beaches. Authorities are removing up to 10 truck loads per day. This comes just days after an international cricket match was abandoned in New Delhi because players were vomiting from the pollution. A king in Cambodia - Cambodian PM Hun Sen is modelling his increasingly despotic reign off the historically-dubious tale of King Kan, a 16th century Cambodian ruler who raised himself beyond his low-born station. Amidst a violent crackdown on dissent, those close to Hun Sen believe him to be the reincarnation of the self-made warrior-king. Your weekend long read... An election has been called in Russia. Vladimir Putin has announced his candidacy and will unquestionably be returned to office. This stellar piece from the Financial Times explores what election season is like when the result is predetermined.